Ever since Batman v Superman put a really bad taste in people’s mouths, everyone has been waiting for Suicide Squad. This was the film that was going to put the DC Universe back on track. I hate to say it but it doesn’t. The film is decent and I would recommend it to people, but there are a lot of big problems with the film. Let’s get the good out of the way first. There are some really good characters here and the actors look like they are having fun playing them. Will Smith is good here. I haven’t said that in at least ten years. What some people may not remember is that Will Smith used to be the king of the box office. Every year, on Fourth of July weekend, there would be a new Will Smith film that people would flock to see. This went on for a while, and he still can open a film, look at the opening weekend for After Earth. But Will Smith is good. He brings on the charm and we actually like him here. This is the most Will Smithiest Will Smith film that we have seen in a long while. He brings his usual comic charm to the role while still making the character tough and rough around the edges. Another standout here is Margot Robbie as Harley Quinn. Quinn is the Jokers gal and throughout the film she is trying to get back to him. Robbie shines here and really makes Quinn her own while staying true to the character’s roots. Robbie has plenty to do in the film and has the best origin story of the whole group. There are a few things that I didn’t like about her performance. The first is that she drops the character's New York accent a lot. She will say something that sounds exactly like Quinn has sounded since her inception in the 1992 and then say the next sentence in a regular voice. It is really weird and off putting. The second thing that I didn’t like was that she has some of the dumbest lines in the film. Quinn has always been a character that is conflicted and doesn’t know how to act around people, but this is taken to the nth degree. Something semi-serious will happen and Quinn will make a half-assed remark. The rest of the squad is good. Jai Courtney, who played John McClain’s son in A Good Day to Die Hard, is usually terrible in everything he is in. Here he shines as Captain Boomerang. He is funny and has some really good one-liners. There are some good visuals here as well. There is a character named the Enchantress, who has fused herself with a woman who had the bad luck of finding her. The woman is normal until the Enchantress is called out or wants to come out. The first time we see this transformation we are given a really cool visual. The woman put her hand flat on the table; a black hand then comes out of the table and intertwines her hand with the woman’s hand. The hands then switch sides and we now have then Enchantress instead of the woman. This is a nice visual and I wish that the film had more of them. The first thing that I didn’t like was the story. The trailers never gave us a clue pertaining to the film’s plot, which I found kind of weird. Now I know why they did this. The plot is really stupid. Once the squad is sent on their first mission, they are surprised to find that they are rescuing someone who shouldn’t need rescuing. It just seemed like the filmmakers wanted to extend the story out more and this was the best way they could think of. The next thing is the pacing. The first act of the film is really good. We get intros to each of the squad which was refreshing because these are mostly unknown characters. Once the squad is assembled the film moves right into the third act. There is a bit of a second act, but the film goes from introducing the characters to sending them on their mission, to their mission in no time. The mission is the third act and last for at least an hour. This just makes the film drag when it should have been moving. There are also times in the film when you can tell that a scene was shot during reshoots. After the piss-poor reception of Batman V Superman, Warner Brothers wanted to lighten the film up and had reshoots happen that would do this. This gives the film an unevenness that hurts the film rather than make it better. The reshoots are not along the lines of the 2015 Fantastic Four reshoots, but you can tell where some of the reshot scenes are. The last thing that I hated was Jared Leto as the Joker. I know that everyone had their reservations about Leto taking on the role so soon after Heath Ledger had reinvented the character, but I had hope. Leto is a really good actor and I thought that he would give us a good take on the character. Boy was I wrong. 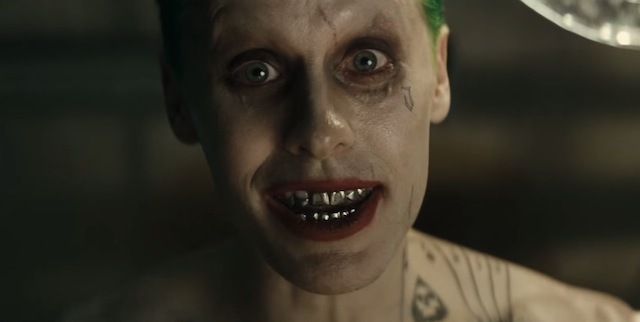 Leto’s take on the Joker is the worst I have seen for the character. I have no idea what Leto was trying to do. Maybe he was trying to be scary, but then there are scenes where he is trying to be wacky. It doesn’t help that Leto is only in the film for about 15 minutes and could have easily been removed from the film entirely without anyone noticing. So you are probably asking yourself whether I liked the film or not. I did, but to an extent. 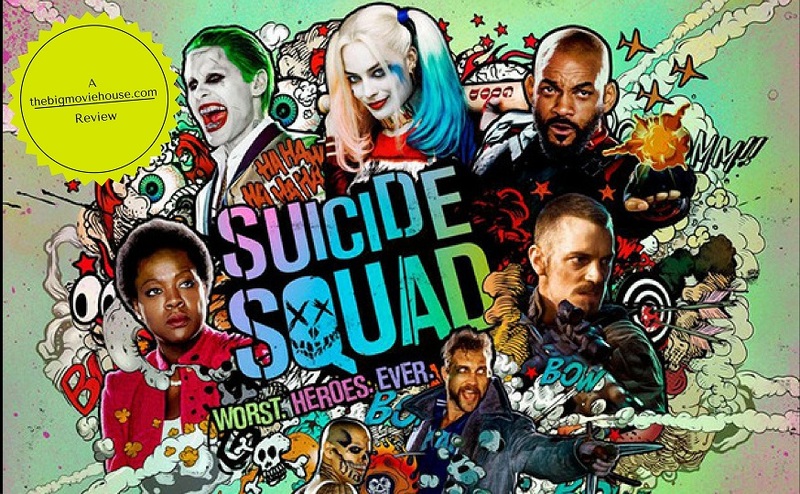 I liked the characters, except for the Joker. I liked Smith and Robbie and thought that they brought their A-game to the film. The film feels very long and unsatisfying, but the characters and the actors really made the film for me. I would recommend the film, but only as a matinee or a rental.